(Newser) – A woman found murdered in a suitcase Tuesday told her mother only days before that she feared for her life, the New York Times reports. 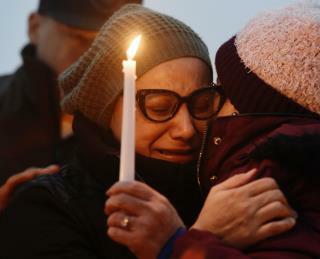 Valerie Reyes, 24, turned deeply anxious in a Jan. 28 phone call: "She was very scared, very frightened," her mother Norma Sanchez tells the Rockland/Westchester Journal News. "She didn't mention anything or no one specific. She just said, 'I'm scared. I'm paranoid, mommy. I'm getting anxiety attacks.' She was having a hard time talking." Norma asked if someone had visited her, or if her ex-boyfriend was involved, but the Valerie said no—yet added, "I'm afraid someone is going to murder me." Valerie also said she'd heard about the murders of women, saying, "I just can't get it out of my head." Well if mom wants to be charged with reckless endangerment, or involuntary manslaughter.... Then charge her. What sort of parent hasn't given their kid a gun to protect themselves by that age, and then not tell her to make sure she is carrying it always so she is safe. If that was my daughter, she would have had to tell me everything. Then, we would go to the nearest police station and tell them everything. Then I would pack an overnight bag, with a weapon of my choosing, and wait, a/k/a lying-in-wait.